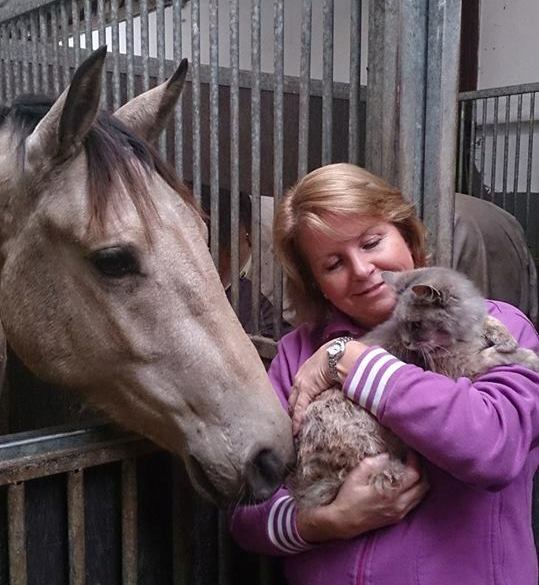 Ria Roosendaal has spent all her life around animals and owns a lovely quarter horse mare Sparky and her 5 year old son Nic. She feels the animals can teach people many things. Ria has worked in one of the largest sales organizations of the Netherlands which specializes in internet advertisement. Her background also includes extensive experience in marketing and public relations having worked for several companies in that capacity. During her 20 years of riding experience in Dressage and over 15 years in Reining and Halter, Ria has worked extensively with competition horses. In 2004, she experienced Healing Touch for humans, and then attended the first Healing Touch for Animals® (HTA) Course held in the Netherlands in 2005. Ria feels there are endless possibilities for HTA to change the lives of animals and their owners. She traveled to the United States several times to attend the upper levels of HTA and expand her knowledge and is an HTA Certified Practitioner. Ria has combined her business experience and her private practice of “Pets & People”. As an HTA Level 1, 2 and 3 Instructor, she gladly shares her enthusiasm with her students in the Netherlands and looks forward to sharing HTA in other parts of Europe. Ria’s goal is to give students the awareness and confidence to develop their own HTA skills to help our animals.